With Memorial Day just a few days away, I have no doubt you are putting the final touches on your holiday picnic plans with friends and family. Monday officially kicks off the summer season and I couldn't be more thrilled. 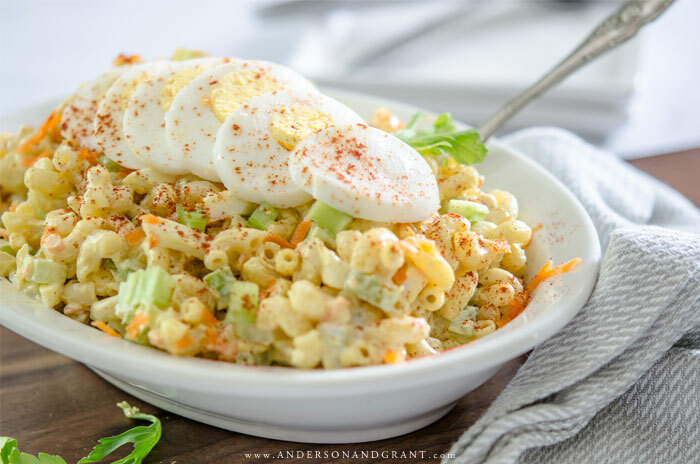 Most of the time, when purchasing pre-made macaroni salad at the grocery store or deli, it is loaded down with mayo, appears creamy white in color, and honestly lacks a lot of mouth-watering flavor. I walk away from purchasing it every time because it just isn't the salad that I grew up with. It doesn't have the extra little kick in taste that I expect. 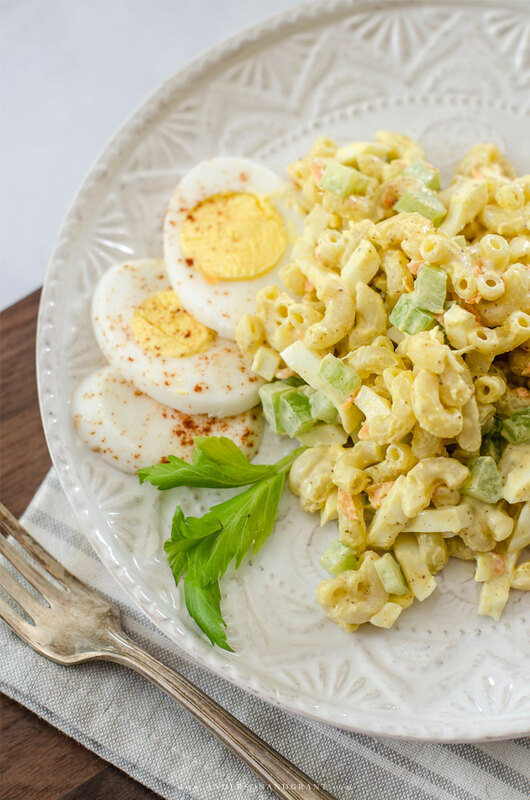 This recipe was one that my grandma would make for practically every picnic and the secret behind her macaroni salad was the addition of mustard and a variety of spices in the ingredients. It has a slight spicy and bold flavor that really makes it something beyond the ordinary. And the mustard gives the salad a light yellow color that lets you know you are about to taste something special. As a rule, I prefer to stick to French's mustard and real (Hellman's) mayonnaise over Miracle Whip to ensure the best possible flavor. The amounts of mustard, mayonnaise, and spices can all be adjusted according to the taste you prefer and the creaminess you're looking for. 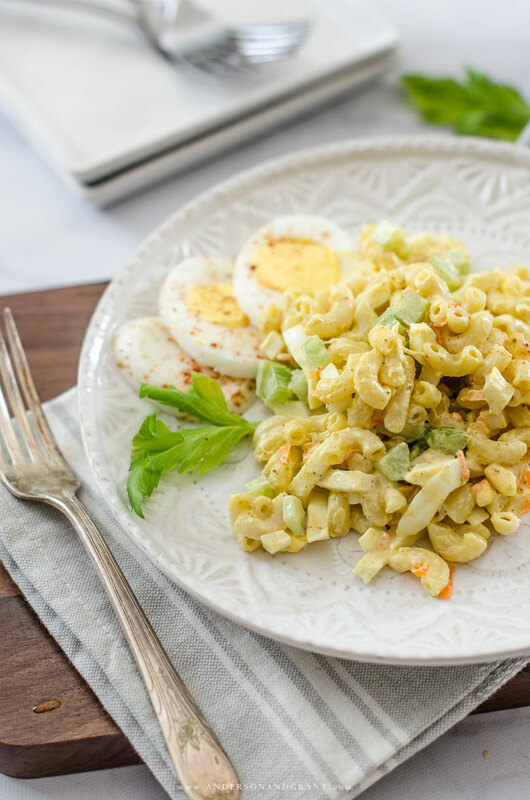 The more you make this recipe for macaroni salad, the easier it will be to just dump in the ingredients without having to measure each and every time. 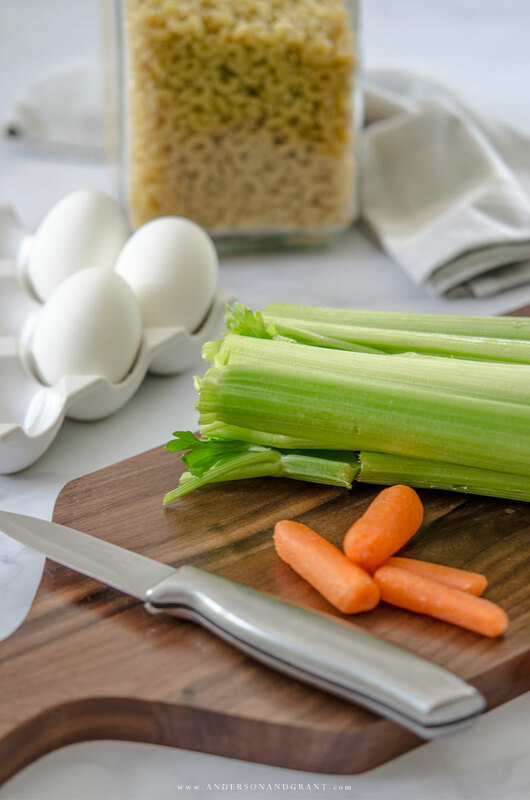 Also, I recently purchased an egg slicer from Macy's and found that it works perfectly for dicing small uniform pieces of egg quickly for this salad. 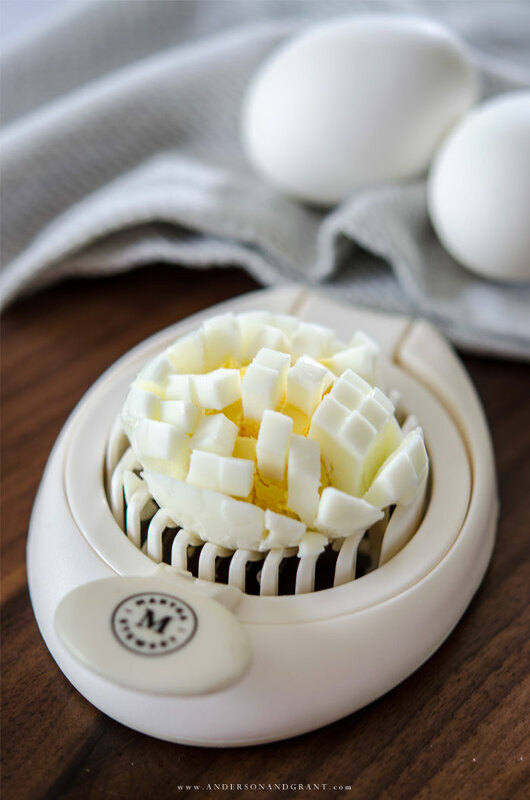 I first sliced each egg normally and then carefully picked up and turned the egg in the opposite direction and sliced again to dice it into pieces. It is always nice to find a gadget that actually helps rather than just take up space in the kitchen, don't you think? Hope you enjoy this family recipe for your picnic this year and have a wonderful start to your summer season! Boil the elbow macaroni in salted water for about 11 minutes until tender. Then drain and cool the pasta completely. 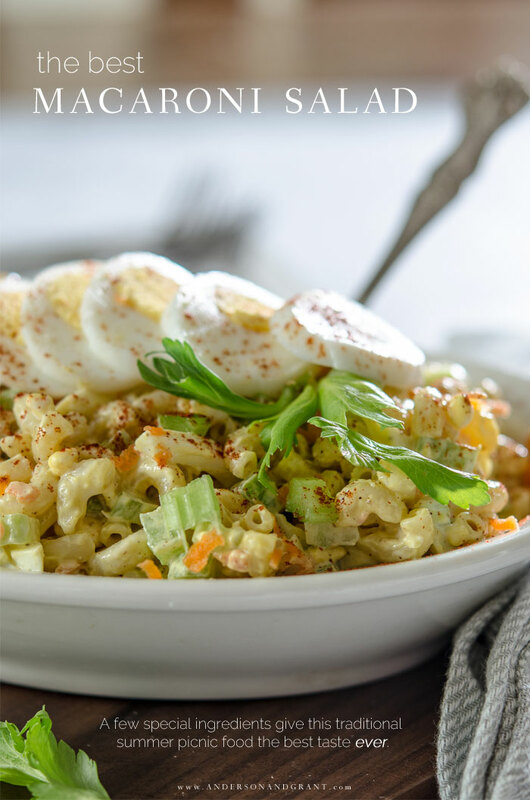 Mix together the cooled macaroni, mayonnaise, mustard, and spices in a large bowl until completely combined. Gently fold in the chopped eggs to keep them from breaking apart. Top the salad with a light sprinkle paprika for color. Chill until just ready to serve.